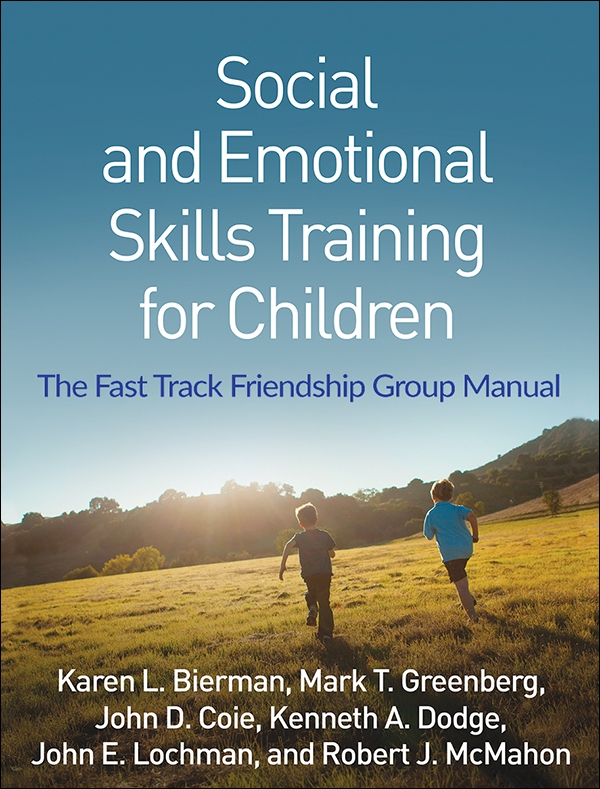 Social and Emotional Skills Training for Children is the manual for the Friendship Group program, an evidence-based, group-intervention for elementary school children experiencing peer difficulties at school. 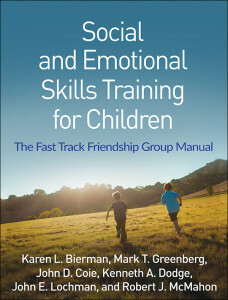 Authored by researchers in child development and psychology, Karen L. Bierman, Mark T. Greenberg, John D. Coie, Kenneth A. Dodge, John E. Lochman, and Robert J. McMahon, this book provides a rich overview of the ‘whys’ for systematically promoting social and emotional competence in children, as well as detailed guidance on the ‘hows’, including step-by-step implementation of the Friendship group program, and a breakdown of each session within the program. In the Friendship Group Program, small groups of 4-6 children meet for an hour once a week with a coach. Each session features a specific emotional (e.g., emotions, empathy, self-control) or social (sharing, cooperation, group decision making) skill or challenge, that is explored and practiced using group activities, games and discussion. There are 26 sessions for early elementary students (grades K-2), and 14 for advanced elementary students (grades 3-5). Sessions are clearly described in this manual, which also includes supporting handouts and other materials. This program can be implemented in school as well as in after-school contexts, and is particularly useful for children with social and behavioral problems that impact their ability to form and maintain positive relationships.